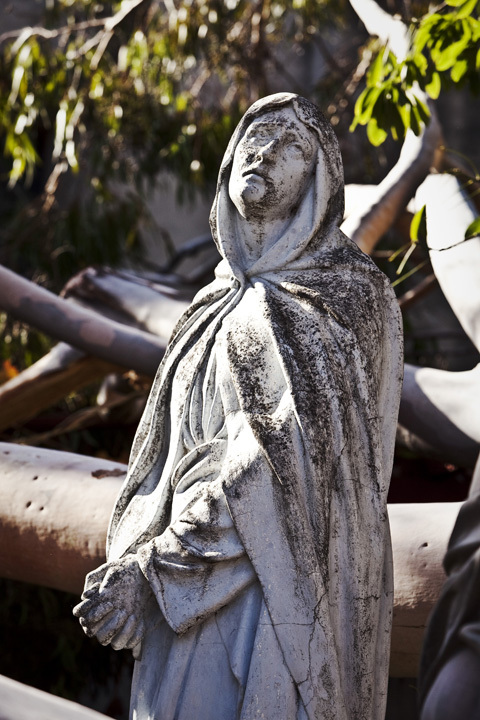 Santa Ana winds gusting up to 100 mph wreck havoc at the San Gabriel Mission. 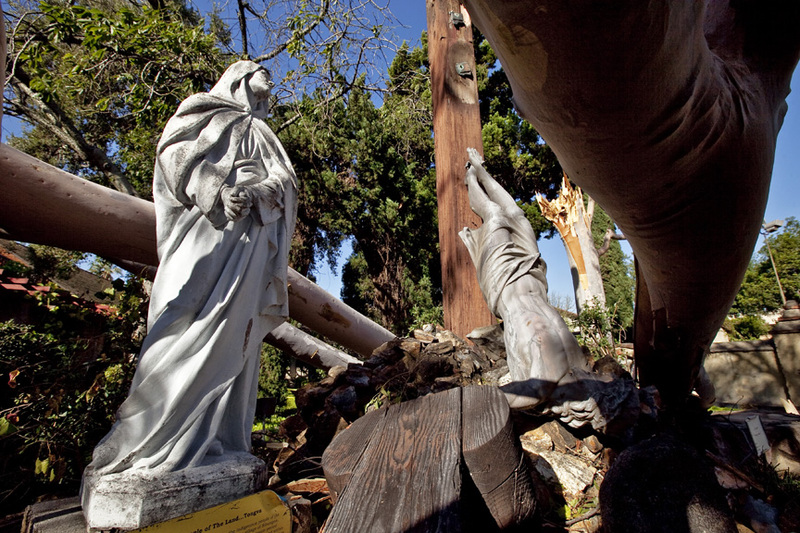 Statues of Jesus, Mary, and John the Apostle were damaged when a giant eucalyptus tree fell up on them, turning the Jesus statue upside down and hanging by it's feet. 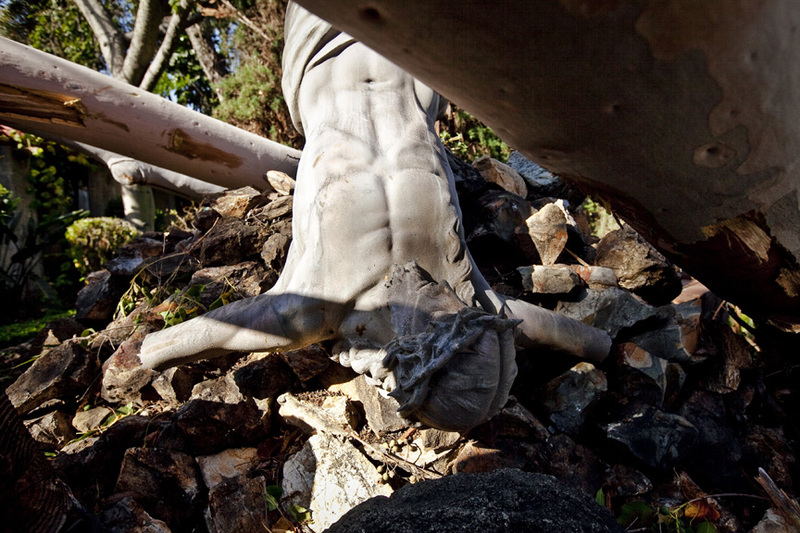 The statues are about 70 years old and are located in the mission's cemetery. The mission has already received promises of repair from an art director in Hollywood. 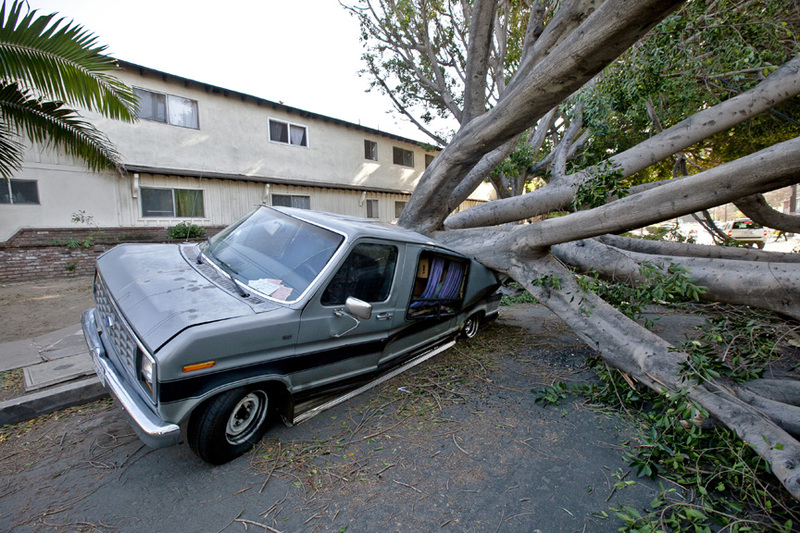 The Highland Park area got hit hard with the Santa Ana's too. 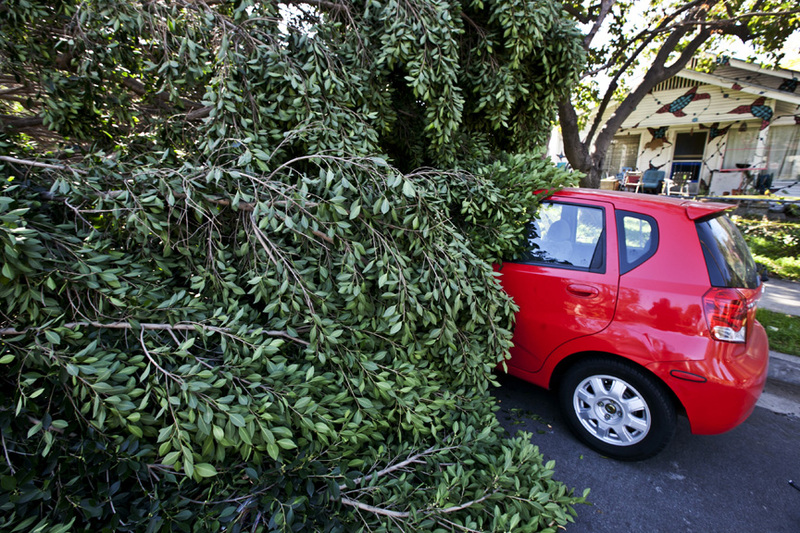 On Ave 57, several large ficus trees fell and crushed a couple of vehicles. Crews were on hand clearing the downed trees and wires. Most of the area is without power, cable, or land phone service. The Stoplights on Figueroa were also without power. 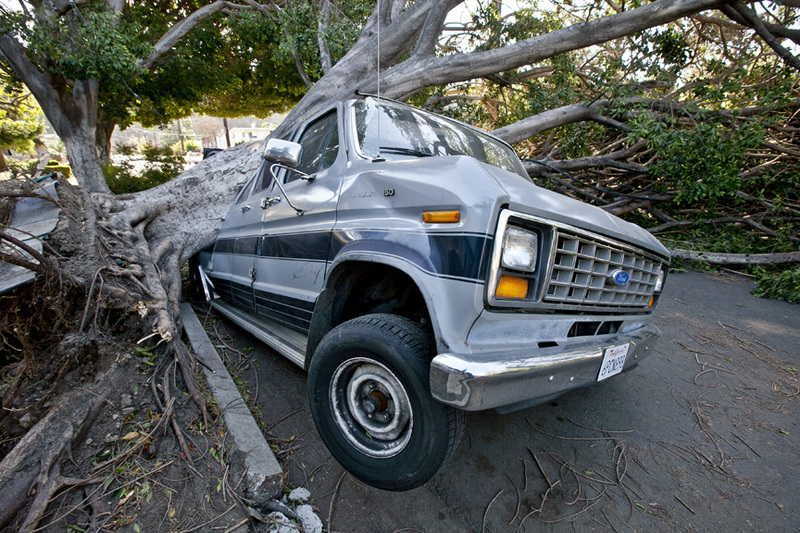 A large ficus tree on top of a Ford van. Red car and toppled tree on Ave 57. 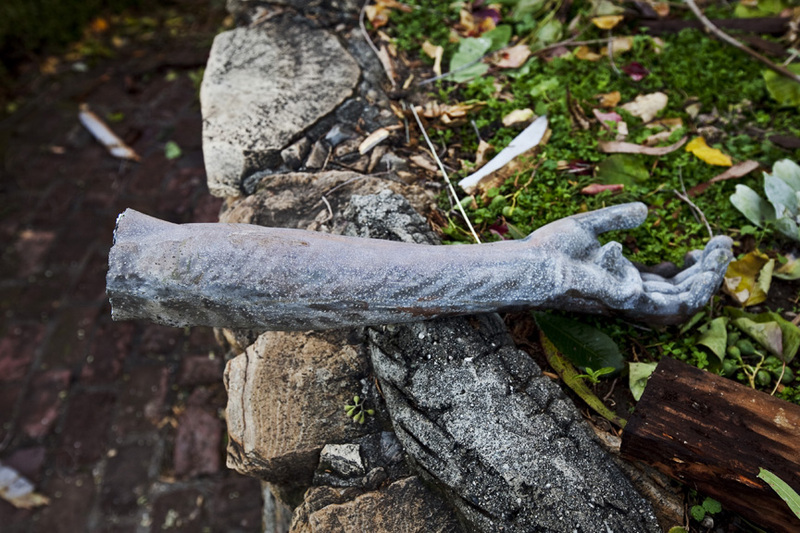 The right arm of Jesus broken off.